Amcor Flexibles SPS invented the first 100% peel-off pouch in 1996. Since then, BOP® pouches and reels have become the most popular preformed Sterile Barrier Systems (NF EN ISO 11607-1) in the world, used in more than 85 countries. BOP offers an effective microbial barrier while guaranteeing the effective flow of the sterilizing agent and a peel-off system which provides aseptic conditions on opening. Great variety of widths. This product allows Central sterilisation Departments to optimize the packaging of each medical device (length/width). The BOP® flat reel offers most of the characteristics and advantages of the pouch range. 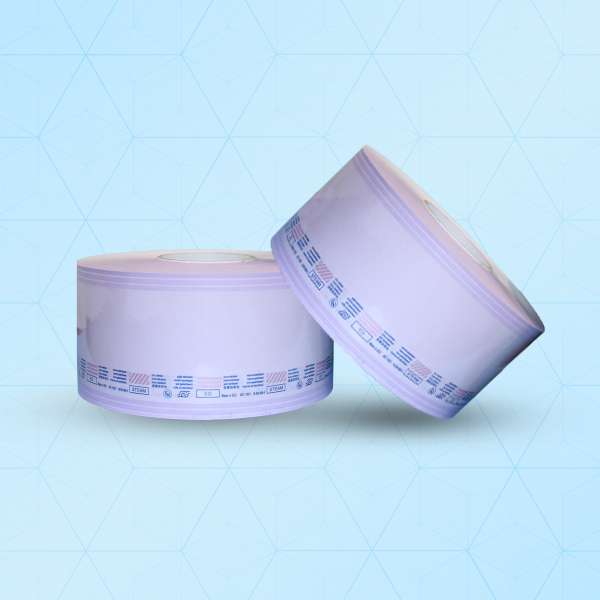 Double flow indicator (ISO 11140-1) intrafilm printed EO Steam and Gas.